I’m one of only 2,000 Mountain Pygmy-possums left in the world today. I appreciate you taking the time to listen to my story. First, a shout out to SEO WEB Designs. 2% of any package or service that you order from the SWD team here will go directly to a foundation working for the survival of my tribe. To be clear, the package or service you order will NOT cost you a dollar more. SWD is not asking you to contribute towards the foundation. No, the team here will donate 2% of your invoice to this eco-vision. In other words, by simply choosing SWD to partner in your website or SEO marketing project, you’re playing a role in nature conservation. And that’s pretty cool, if you ask me. Through this initiative, SWD is supporting the work done through Foundation for National Parks & Wildlife (FNPW). 2% of any package or service that you order from SWD will go to FNPW. If you want to personally contribute to helping my tribe survive, that will be awesome. Please visit the FNPW website directly. They also have other incredible projects on the go that you may prefer to support. How Endangered is the Mountain Pygmy-possum? As you can see, we’re in a little trouble and need all the help we can get. According to the IUCN Red List, there are 86 animal species in Australia in the same “critically endangered” boat. So, my tribe is not the only one fighting for survival. To be on this unwanted list, we must meet certain criteria. For example, if the population is under 50 individuals, you’re definitely critically endangered. Fortunately, there are more than fifty of us. However, other criteria include a reduction of the population by 90% within the previous decade or a population range that is fragmented or severely limited. This is where we fit into the picture. Part of our problem is that we’re the only hibernating marsupials in Australia and we live in only three alpine areas—areas that we’ve had to learn to share with humans who love their alpine activities. To be fair, the ski resorts in these areas work hard to protect our habitat, but we’re struggling to adapt to the changes our human friends have introduced. The three areas you’ll find my tribe are Mount Kosciusko in New South Wales, and Mount Hotham and the Bogong High Plains in Victoria. Each family is genetically distinct and our family in the Mount Buller region is most vulnerable to extinction. You can find out more interesting information about my Mountain Pygmy-possum clan at the Foundation for National Parks & Wildlife (FNPW), Zoos Victoria, or on Wikipedia. Heard About Adopt a Project? Do you run your own business? Well, SWD invites you to Adopt a Project! 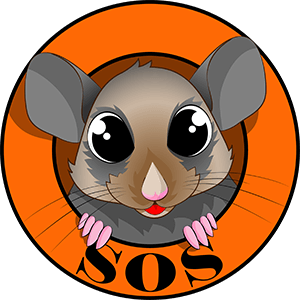 You see, the SWD team asked me to serve as their mascot in adopting the Mountain Pygmy-possum project. Talk about making a possum feel twenty feet tall! Now, of the 86 animal species critically endangered in Australia, eleven are mammals. If you run your own business, I’m asking you to invite one of my fellow survivors to be your mascot. You’re welcome to adopt one of my cousins, but you could also choose from one of eleven critically endangered mammals (see the list below). Give him or her a name. And add your brand colours and logo. Hover over or tap green buttons to view custom options. 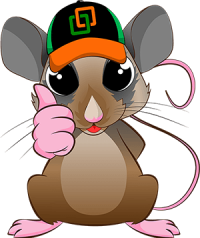 Second, involve your mascot in your online promotions. This part is entirely up to you. 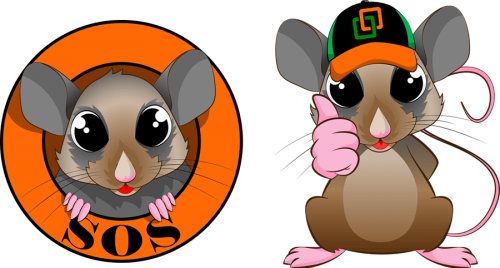 You could simply add your mascot to your site and create awareness of our cause. Or you could contribute a small percentage of your receipts to a foundation of your choice, like SWD are doing. In fact, SWD are going the whole hog. (Or is that, the whole possum?) They’re allowing me to feature as an essential part of their branding. Hey, they’ve even made me the spokesman for this initiative. Thanks, Craig. And yeah, if you give both SEO WEB Designs and Digital Inc Media a shout out, all the better. Spread the news of Adopt a Project and make an even bigger splash. As they say in the cartoons, that’s all folks! Interested in Adopt a Project? Contact us today! We’ll explain all the details and get you going. Meet all eleven of Australia's critically endangered mammals. In time, we’ll spotlight the 75 other Australian animals on the critically endangered list (birds, reptiles, amphibians, etc.) There’s a lot of work to do. And hey, if you’re stumbling onto this page from another country, give us a shout. We’d love to help you generate interest in saving the critically endangered animals in your country.